Purse Valley is a friendly theme with the white, deep pink, and blue coloration that brings retail fashion to mind. 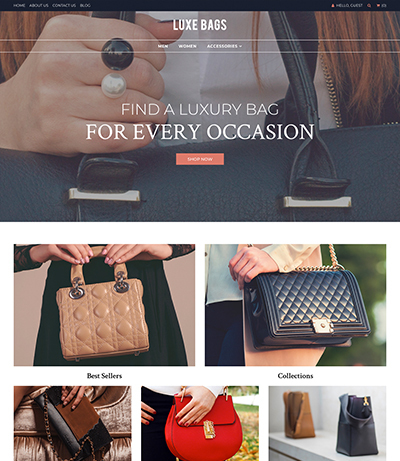 It's perfect for designer handbags, apparel, accessories, and more. With space for large promotional banners to let customers know of sales, new products, manufacturers and more, Purse Valley is ready to sell! 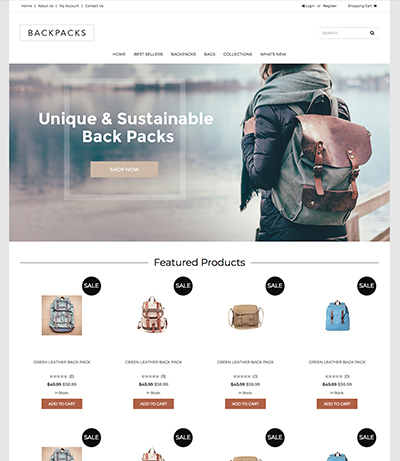 Your featured products take a central place on your home page, enhanced visually by the plain white background in this section. 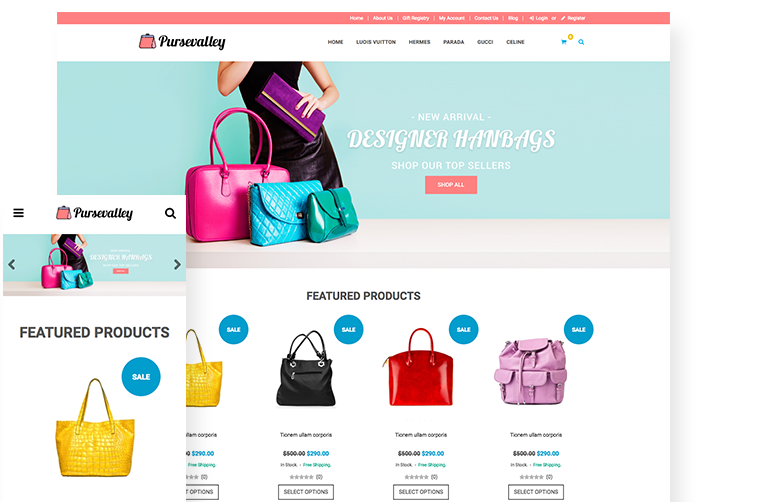 One of the most fun features of Purse Valley is the animations, which bring your products to life with a flip and draw attention to sale items with "Sale" tags that bounce into existence. Purse Valley is also completely compatible with all mobile devices and boasts fast loading speeds, as well as fully SEO-friendly code. If your online store needs a bit of whimsy, Purse Valley may be the perfect theme for you! Want to make your theme unique to you and your brand? Contact us to learn how we can assist you with customizations of all sizes.